You could not ask for a better weekend. It was the last weekend in July 2015. You usually associate July with the dog days of summer, but this weekend. The high was mid 80’s with very low humidity. The winds were out of the Northeast at 15 knots, which is the perfect recipe for sailing. 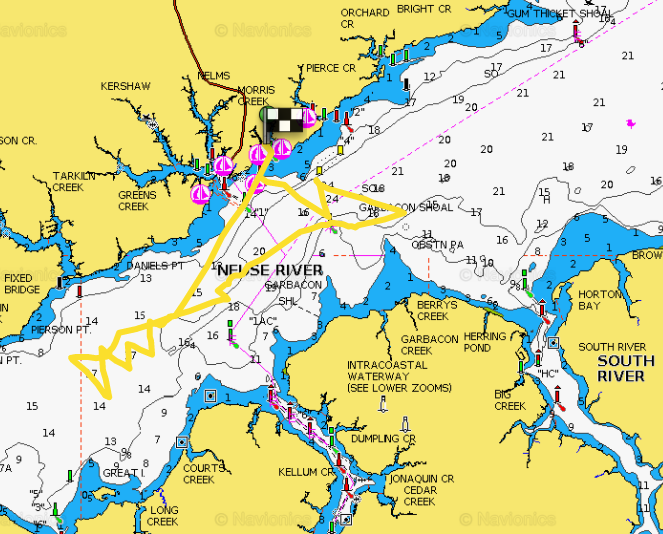 Michele, Ziva (family pet), and I logged 7 hours (20 nm) of sailing on the Neuse River going no where special. We were enjoying the perfect weather and company. July 27, 2015 in Inner Banks North Carolina, Oriental-NC, Sailing.